Update 3/25/17 Have been running the CPU at 4.8 GHz at 1.392v for a while now. Idles in low 20's with the Corsair H115i reaching equilibrium at 31 degrees C. Under gaming load, reaches a max of 65 degrees C, with the H115i peaking at 33 degrees C. Very happy with this overclock. Yup, that's right I did it. I spent money on a computer that is for the explicit purpose of playing video games. I know, I know, it's very shameful. But in all seriousness, I have been in love with PC's ever since I was thirteen. I constantly watched LinusTechTip, JaysTwoCents, PaulsHardware, and AwesomesauceNewtork to keep myself up to date on the latest tech. I watched in envy as the Nvidia 700 series rolled out, and gawked at the reveal of the 900 series. I constantly felt the need to join the "PCMustardRace". With the release of the Skylake series I thought it would be a good time to move away from my 1600x900 potato laptop. Admittedly, it was a wonderful machine but it has served it's time. A few months ago I stumbled across PCPartPicker, and it left me constantly checking prices and drooling at other builders projects. One day I came to a conclusion: "I must join to MustardRace". For my build I wanted to create something that was aesthetically pleasing, but also had a great performance per dollar ratio. However, I did not want to cut any corners, since I wanted this build to be durable. I set my budget to under $2000, I thought this was a reasonable price range for a complete build. Let's talk parts. For the CPU I chose the i5-6600k. It performs very similar to the i7 counterpart in games (the difference in FPS is negligible) , and since that is what this build is primarily for, I decided it was the better deal. At the time of purchasing the i5 the i7 was a ludacris $370 USD, so it was clear to me that the 6600k would be the core of my build. I also had no need for hyperthreading. The i5 easily overclocked to 4.5 Ghz, and idles at 25 degrees Celsius. Under normal gaming load (Battlefield 4) it hovers around 37 degrees Celsius, and when stress testing at 100% load, the max temperature I recorded was 49 degrees Celsius. I didn't want to use an air cooler in this build, and since AIO's are so increasingly popular I decided to use one as well. Corsair has very reputable products, and this one did not disappoint. It keeps my CPU incredibly cool, and took no effort to install. I read many reviews saying that the fans were loud, and while at 70-100% load they are like jet engines, anything under that is very acceptable. I have them set to 30% speed via pwm at idle, and they are virtually silent. 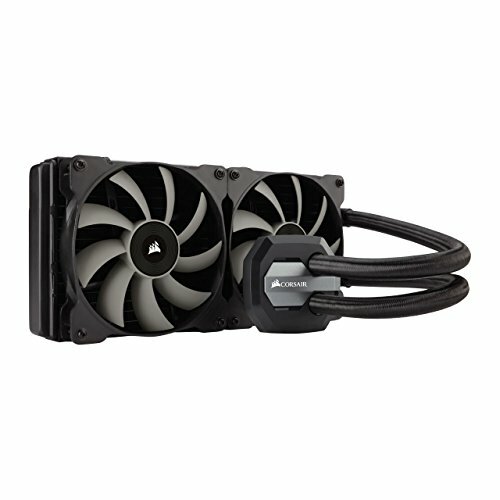 I purchased 2 Corsair AF140's to go on the radiator itself, and they run extremely quiet while pushing a respectable amount of air. Another controversial topic in the reviews of this product was the software Corsair Link. Upon downloading it, the software worked flawlessly and I had full control over pump speeds as well as fan speeds. This is where the party really started. When I saw the Extreme 6 (not 6+) on Newegg for $140 after a $30 dollar rebate, it felt like an impulse buy. The color scheme was awesome, and functionality for the price was second to none. Upon receiving the first NEW board, I noticed that their were scratches on the Heatsinks. Already irritated with the "new product", I tried to get it to start, with no avail. I RMA'd the mobo and had to wait two whole weeks to get the replacement! (I'm looking at you Newegg -.-). The second board was physically in perfect shape, and upon connecting everything it worked! It held voltages perfectly while running surprisingly cool. The ASRock BIOS flash solved any bugs that were there, and there A-Tuning software is great for adjusting clock speeds, voltages and fan speeds in Windows. Overall very happy with this board, just not with the ASRocks quality control. Another Corsair product (and no I'm not a fanboy). This one was yet again a clear victor, it was one of the cheapest 16gb DDR4 kits at the time, and the low profile look as well as the stealth color scheme matched my build well. Runs at 2400MHz without any issues. I chose this drive because I already had an 850 Evo in my laptop. These drives are fast, and reliable, so it was another obvious choice. I know 500gb is a bit on the small side (Battlefield 4 already takes up 60gb), however for my needs it is completely adequate. This thing is the size of North Dakota, but packs the power of the entire US Nuclear arsenal. Upon installing it I realized that it looked like a Beluga whale, but the pure horsepower is impressive. Without any effort at all I pushed the core clock to 1450MHz, and I think I could even go further. I also added 500MHz to the memory, which added a little sizzle to the FPS numbers. My favorite game Battlefield 4 with all Ultra settings and resolution scale at 120% runs at above 144FPS, regardless of what map is being played. I realize that some individuals might say it's "overkill" for 1080p, but my goal is to play games at Ultra/High settings for the foreseeable future. And at $439 USD it was unbeatable. The triple fan design keeps this card extremely cool. I might potentially put this rig into SLI in the future (if it will fit) or upgrade to a 1080Ti if the performance is as outstanding as rumors report. Also, for the start I used a reference 980 Ti I had been lended, and then switched to the Zotac. My favorite part of this build. At $65, this case is unbeatable. It has all the features a PC enthusiast could want, and more. The build quality is impeccable (thanks Netherlands) and the looks are great too. No part of this case feels cheap, it's solid and even lightweight. This was by far my favorite part of the build. I would definitely recommend this product to others! Another steal. This PSU usually sells for $120 USD but thanks to a $30 rebate it was only $90 (which was $15 cheaper than the 650W version). The looks of this PSU are good, and it's dead silent. So silent in fact I had to test if the fan spun at all (it did). EVGA includes a heap of cables, and for stock cables they don't look too shabby. For the case fans I chose two AF140's and one AF120. Both are quiet editions, and they are truly that! Dead silent, with good airflow. They come with three different colored rings, and I decided to spray paint one set black. No problems there. The two 140's are push exhausts on the radiator, and the 120 is an exhaust on the back of the case. This was another interesting product. I had read many bad reviews on AOC quality, but I was intrigued by the gunmetal grey bezzle and green accents. I decided to "risk it for the biscuit" and I was not disappointed! This monitor not only looks great on paper (144Hz, 1ms GTG) it also looks even better in person than in the pictures! It was also $60 cheaper than the Acer competition at the time of buying it. Also, the color accuracy on this monitor is perfect! Thumbs up to AOC. This thing is a beauty. I wanted a shorter keyboard because I don't have a ridiculous amount of desk space, and at $75 there was nothing better. I am a fan of Razer products, since they have great build quality. The version I got is the "silent" key, and it is actually much more silent than my brothers normal Blackwidow. A lovely keyboard, I hope this lasts me a while. 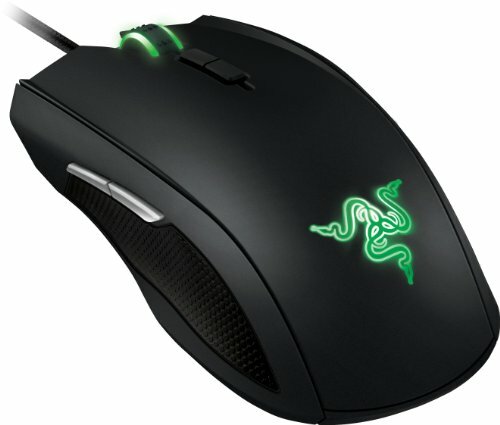 Another Razer product, I know shame on me. I loved that shape of this mouse, it fits perfectly in my hand. I am a "claw" user since my hands are a little larger, and this mouse was perfect. It has a solid feeling, and is balanced very well. These headphones are great, with robust build quality and phenomenal sound. I purchased the Grey ones, and they are second to none. Steelseries makes the best mousepads, period. They are durable, and the price is unbeatable. The feedback is great, it is truly superior to my old Razer mousepad. Mine wasn't warped out of the packaging, and it looks great alongside the black mouse. Great CPU, performs almost as well as the i7 counterpart in most games. Overclocks very well. Cools like a monster, looks aesthetically pleasing. Corsair Link works great, and even the stock fans aren't too loud. I took down stars because of ASRocks quality control. My first board had many physical flaws, and was dead. My second was flawless, and I would give that board an 11/10. Just frustrated that the first board was faulty. Fast, reliable. I will be purchasing more of these in the future. 11/10, truly perfect. Overclocks very easily and is a behemoth. Not SLI capable in my case due to size, but theres little I can do about that. 50/10. I love this thing, for the price it's unbeatable. Great build quality and solid airflow. I would recommend this to anyone!! Solid product, reliable and pretty. EVGA has great warranty and customer service as well. Quiet, great airflow. Works as advertised and looks good. Beautiful monitor, build quality is excellent. Picture is clear and crisp, it's snappy and color accuracy is excellent. 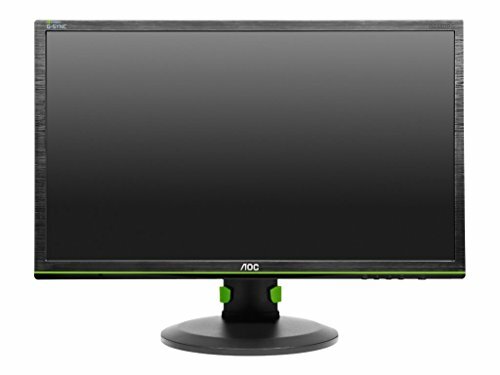 Best G-sync 1080p monitor out there! My favorite mouse, perfect for my "claw" grip. Stealthy look and great feel. Good sound quality, fantastic build quality. I got the grey ones, and they look great next to the build. PoliticalPelican you are now Part of the Glorious PC Gaming Master Race!! May thy framerate be high, and temperatures low!! You should be able to push that overclock significantly higher. Any reason you aren't going for 4.9 or so? Static Pressure Fans on the cooler would have been the better choice. I agree, however my temps are fine and I didn't research enough to find any decent SP fans aside from Noctua, which are quite expensive. Any suggestions? Fractal design or EKWB Vardar fans. Both perform great and are super, super quiet. I literally couldn't hear them ramp up until 1500ish rpm 3-4 feet away. I use Noctuas exclusively and they are worth every penny. Otherwise, I agree with AddisonKwong and would go Fractal Hf series or GP series. SP 140's? From Corsair they are alright and have LED's. My only gripe with those is the clear-ish fan blades. Corsair is releasing new fans soon so maybe some upadted SP 140's will be my new fans of choice. Yes indeed! I didn't want to pay $800+ dollars for a 1080 (for anybody that's wondering), so this was a tremendous solution. Excellent video card to say the least! 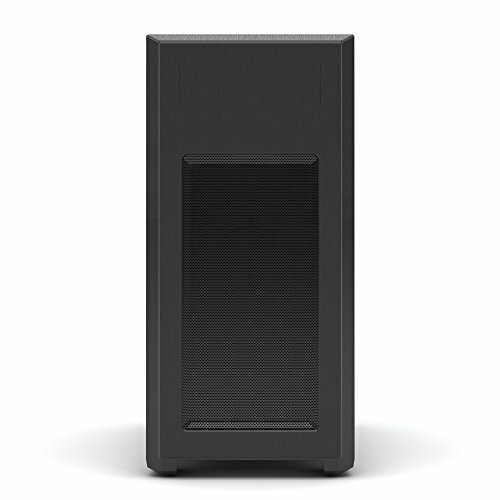 When you get some more $ I suggest adding a few multi-TB WD Blacks, setting them up in Raid and turning this machine into a home media server. It has the power, so why not. P.S. Say 3 "Our Father's" and 2 "Hail Mary's" to absolve this sin! Thank you my friend! I was thinking of doing something like that, do you recommend the WD Blacks, or should I use SSD's? And thank you for your feedback, my sin has been successfully absolved! I'm a firm believer in WD blacks for long term/mass storage. SSD's are nice and fast, but still $ and are an overkill on speed for this purpose. Perhaps in a year or two SSD's will be economically feasible. Dont like the case looks boring on the outside in my opinion. Love the build write up. Fun to read. Welcome to the master race and the constant urge to buy better parts you don't need. The fun never stops. Cool build. Thank you so much for the comment! It's much appreciated. How'd you get the OS so cheap? There are various websites around the internet that sell them for low prices. However, some keys may not be legitimate, but contacting Microsoft is always an option. They were friendly and solved my problem quickly. My description of the OS was censored thanks to PCPartPicker (I had no intention of ANY kind of biased or endorsement I was simply telling other users about my experience). I hope my comment is reinstated so that you can read about my experience. Grey market key sites. The sale of those keys violate Microsoft ToS, and the keys may be unexpectedly disabled. How do they get those keys? Fraudulent purchases or selling keys from volume license agreements. Sometimes just taking OEM keys right off the sticker on prebuilt machines or laptops. Thank you! Yes indeed, I was pondering the idea but I don't like the clear look of the Corsairs, do you have any suggestions for SP fans aside from the Corsair ones? Other than Corsair, I'd definitely suggest the Noctua industrial fans. Although expensive, they are worth it if you feel you can afford them. Maybe try ebay for a used pair. The other brands I'm familiar with that work really well are Fractal Design and Phanteks. Budget over 1,500 and you're on Nvidia/Intel? +1. Is it possible to take out the copper parts on the heatsinks and paint them? Yes it is possible. I thought about doing that with this motherboard, but I really like the color scheme so I decided against it. I believe it also voids the warranty of your motherboard, so there's another reason against it. Question. Will the optical drive fit next to the radiator, or does it not fit at all? Answer. I removed the optical drive simply because I had no need for it, but it will fit. If you have a radiator that is larger than 280mm however, I reckon it will not fit. Kudos to this build man. Looks sick. 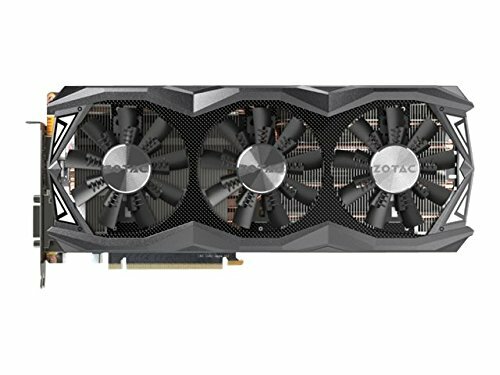 I happen to have bought this same GPU around the same time as you last year and was curious to see what other systems used it. Also, this was built on my birthday. Which it makes my birthday much cooler. Haha. Many thanks, glad you like it. The GPU is a monster. No. It was a grey market key site. If it's being sold that cheaply, it's a grey market key. These websites that sell keys that cheaply usually apprehend them with stolen credit cards. With these cards they buy hundreds or even thousands of keys directly from Microsoft, and then sell them through different vendors. This action unfortunately stimulates a fraud based economy. The websites offer no information to the purchase location or vendor of the key, so the consumer only sees the cheap price tag. OEM keys can only be bought and installed on one singular computer, since Microsoft assumes you are the pc manufacturer when you purchase an OEM key. According to many people, the OEM keys cannot be transferred from motherboard to motherboard, however others have reported that they have used one key on different computers. Diversity is very interesting. He may be biased at times, but I enjoy watching all kinds of tech videos regardless of sponsorship or endorsement. Oh so I get downvoted for stating an honest fact? Seems legit. This "honest fact" is purely your opinion mate. I respect the fact that you don't like Linus. Congrats! I'm thinking of buying you a medal. :) I like Linus because he does interesting things like custom painting motherboards and cutting parts apart. So while I think he for sure has changed since he's blown up, I don't necessarily think it's for the worse. i like Linus because he does interesting things like custom painting motherboards and cutting parts apart. Ahhh, I see where you're coming from. I'm sorry, I assumed that you watched the channel for the content that most people watch it for. 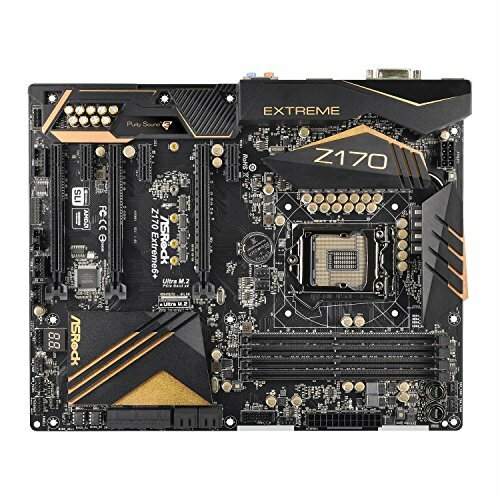 (PC builds, PC component reviews). He isn't really that biased, his build guides are garbage. He chooses parts not based on how good they are, he chooses them because his sponsors want him too. This is what I really hate about the channel.